Dr Volpe and the staff welcome you to our full service plastic surgery practice. We are committed to providing the highest standard of care with exceptional results and support though your treatment. Offices in Boston and Newton. Visit us at CosmeticSurgeyExperts.com. Dr. A. George Volpe is a native of Boston and has had extensive training in the science and art of plastic surgery. He has been providing cosmetic surgery services of the highest quality for over twenty years. 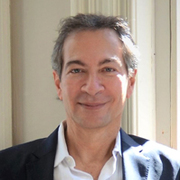 A graduate of McGill University medical school, Dr Volpe's surgical education included training in Boston, New York City, Paris and Melbourne. Board certified by the American Boards of General Surgery (1990) and Plastic Surgery (1995), he has been providing care in the Boston and Newton area since 1995 at his practice New England Plastic Surgical Associates. Recognized as a Top Plastic Surgeon by Boston Magazine, he has also served as president of the Massachusetts Society of Plastic Surgeons. Dr Volpe welcomes you to view his before and after results at his webpage. Just upload three standard pictures today to see a 3D simulation during your next appointment with Dr George Volpe. Before the consultation, you can visualize your current 3D body or face and, after the consultation, get access to see your new look from home so you can share with friends and make a better-informed decision. After the consultation, Dr George Volpe may let you access your "new you" from home with your own Crisalix account. This will allow you to share it with your family and friends or anyone you would like to get their advice.